Shares of Chalet Hotels settled lower on the bourses after making a decent debut on the exchange. On the National Stock Exchange (NSE), Chalet Hotels settled at Rs 291.95 apiece, down 0.70 per cent against its listing price of Rs 294 per share. The stock hit an an intra-day low of Rs 250 and a high of Rs 300. On the BSE, Chalet Hotels ended at Rs 290.40 per share, down 0.21 per cent against its listing price. The stock hit an intra day low of Rs 250.15 and a high of 295.30. 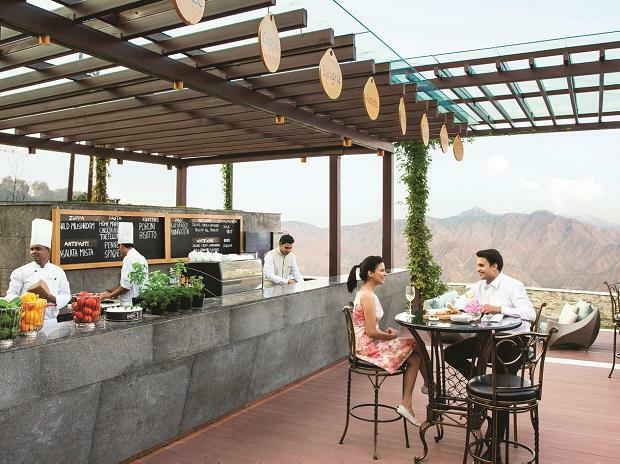 K Raheja Corporation-promoted hospitality chain raised Rs 1,641-crore through initial public offer (IPO), was subscribed 1.57 times, due to the strong response from institutional investors. The company’s public issue for qualified institutional buyers (QIBs) was oversubscribed 4.66 times, while the non-institutional investor category was oversubscribed 1.1 times. The retail investor category was subscribed by merely 0.03 times. Chalet Hotels has a portfolio of premium branded hotels operated by global hospitality brands such as JW Marriott Hotel. Chalet Hotel's total income increased by 25 per cent annually in FY16-18 period. It posted a 22 per cent annual rise in hospitality revenue which pushed up the company's top line. The company earned around 92 per cent of income from hospitality in FY18. In addition to the revenue growth led by favorable locations, strong brand name and pricing, the company has also been keeping its costs both at construction as well as operational levels low. However, given ongoing expansion, exchange fluctuation, and higher interest costs, net profit has been inconsistent across the last three financial years, with losses in FY16 and profits in FY17, which continued much lower in FY18.